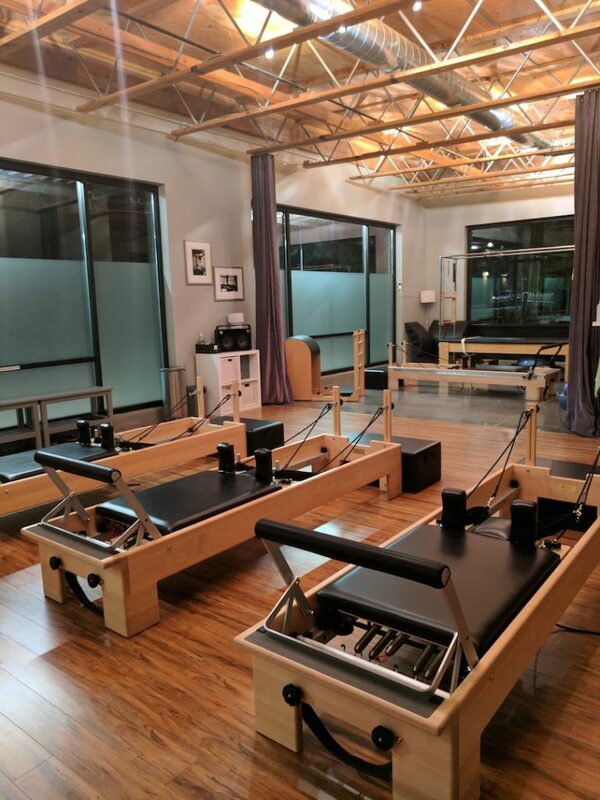 Developed by Joseph H. Pilates in the early 1900’s, this method of full body conditioning consists of over 600 precisely designed exercises on the mat and various apparatus machines. Pilates focuses on strengthening the deep abdominal and postural muscles that support and stabilize the spine, creating length and strength in the muscles, increased coordination and flexibility, and proper body alignment. The Pilates Method is an exercise system focused on improving flexibility and strength for the total body without building bulk. It is not just exercise, however. It is a series of controlled movements engaging your body and mind, performed on specifically designed exercise apparatus and supervised by extensively trained teachers. Instead of performing many repetitions of each exercise, Joseph H. Pilates preferred fewer, more precise movements, requiring proper control and form. Pilates was influenced by yoga, gymnastics, modern dance and other movement systems. The Pilates based exercises emphasize “core” movements and body balancing. Pilates develops a strong “core” which is comprised of the transverse abdominis, diaphragm, multifidus and the pelvic floor. The exercises are about repetition, refining and a depth of understanding. This requires many hours of practice and produces lasting results. Pilates is done on floor mats and equipment. Exercises are done while standing, lying, sitting kneeling and other postures.